Merry Evening my friends! I have spent some time today working on my Blogroll. I noticed that many of the Blogs I have loved and had listed on my blogroll are gone or the author hasn’t written for a very long time. I have removed those blogs and have added a bunch of blogs that I have found since I did the original blogroll. 🙂 Same with the favorite links. Added new ones and took away some that were no longer active or available. Be sure to check them out….and if you know of a great blog I’m missing out on..please let me know! I always love finding great writers and blogs or links. I’m also very excited as I’m in the process of getting my blog “made over”. I’ll actually have a logo and everything!! Once it’s done..I’ll let you know about the fabulous person who took it on for me. I can’t wait to see it myself! 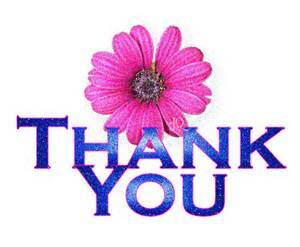 I also want to extend a huge Thank You to my readers, followers and friends. With over 500 followers and nearly 134,000 hits…I’m completely thrilled that my blog is of interest to anyone 🙂 I started out writing this blog just for myself. To record info, things I know or want to know, things I’ve learned or want to learn, recipes, my favorite quotes and poems, pictures etc etc. As my readership grew….I started thinking about who was reading it, what I could share etc. I have gotten to know many of you enough to call you friend. One thing I’ve learned from all of you and your comments etc…is to keep it simple, be honest, tell it as I see it, and be kind and friendly. I often wish that we could talk, like old friends, sitting at my kitchen table, or on my patio in my gardens. I thank you so much for reading me and being kind. It’s much appreciated! Many Blessings!!! Filed under Friends, My Writing, Odds and Ends, Quote, Thank You! Hello my friends. I write this with a heavy heart. Today has been a terrible day in Japan and other places in the world affected by the 8.9 earthquake and resulting aftershocks and tsunamis. I know that you all join me in sending love, comfort and healing to the victims of this terrible tragedy. Mother Earth is shifting and the effect is very dramatic and devastating. There are earthquakes so often and they always seem to be worse “someplace else”, but we are all here on Earth together and the tragedy does indeed and should affect us All. Many are saying that Mother Earth is angry and wreaking havoc…well that may or may not be true. I prefer to think that She is not doing anything to hurt us or to punish us. That does not sound like the beautiful, loving Goddess I know. I DO believe however that She has a right to be angry with us. We have done Her great harm as a people. Our treatment of Her has not been good for Her or the creatures, plantlife, sealife, air we breathe, water we drink….we have done serious damage to this Earth we love so much. Pagans feel the pain She is going thru as we have such an affinity for our Mother and want to take care of Her, Heal Her, treat Her better! As my heart goes out to the victims of this day..my heart also goes out to our Mother Earth. May this be a reminder to take care of Her the best we can. It is almost Spring and every witches heart is turning to thoughts of her garden….the flowers, herbs, and veggies that we will tenderly plant, and watch grow, and harvest and use in mundane and magickal ways. Digging in the dirt, feeling it in my hands and under my feet, the rich smell, is one way to connect with the Earth Mother. There is no way you won’t appreciate what She gives to us after planting a garden. 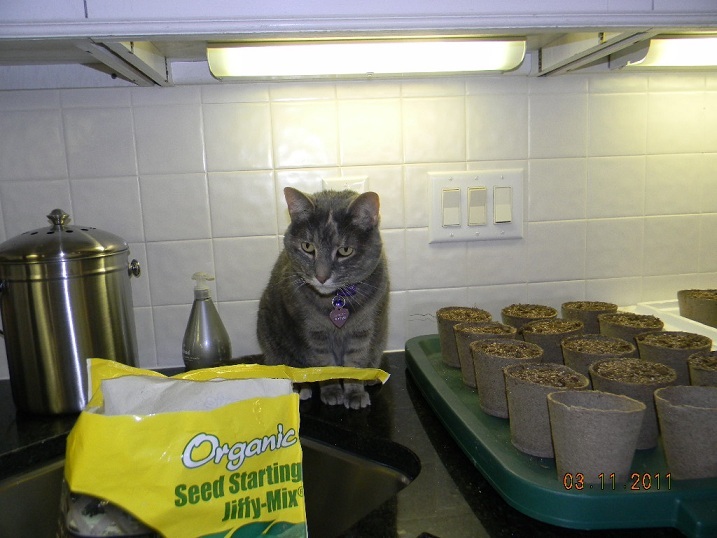 With that in mind, I planted my herb seeds today…to try to connect to the Earth while this terrible day unfolded. 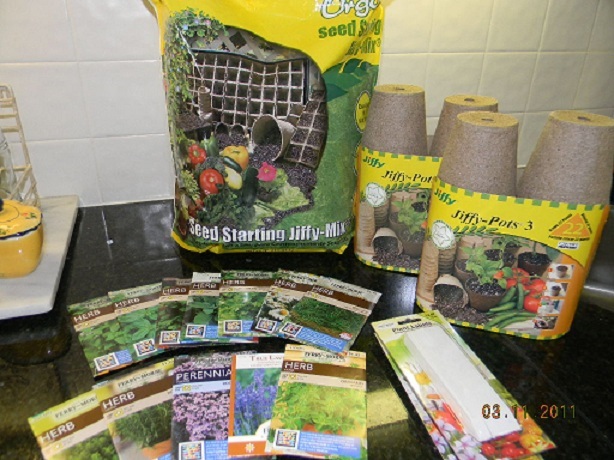 I had shopped for my pots, soil, markers and seeds last week and the time is right to plant here in Ohio..and the Sun came out and melted the night’s snow away..put me in the mood for sure. 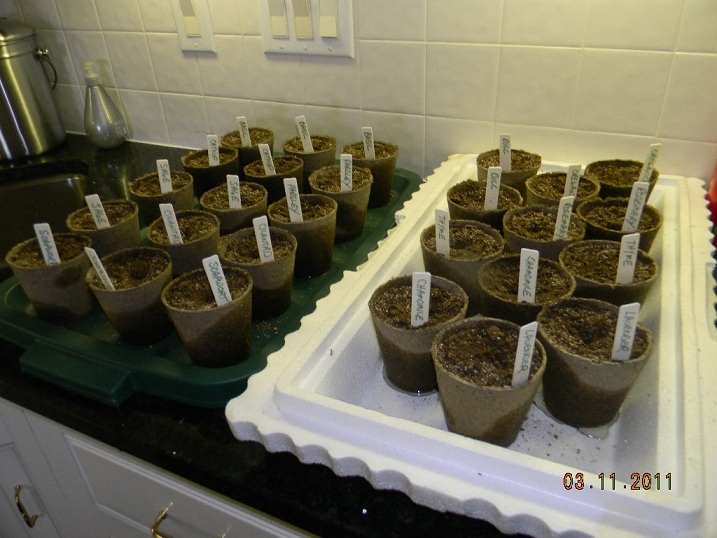 After filling, I water down the pots and soil til the pots are damp. Then comes the fun part. I love to see the seeds, what they look like, do they have a scent? 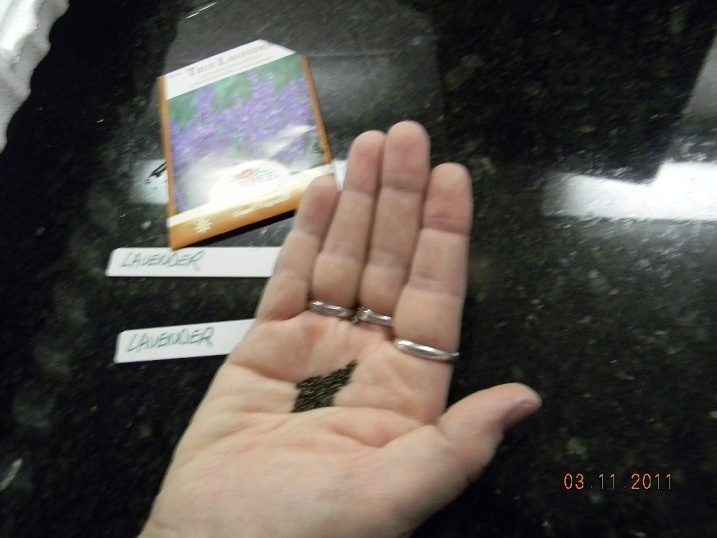 I just poke my finger in the pot, drop in the seeds, press down the dirt and place a marker with the name of the herb in the pot. Once done, give them a good watering again. That’s it..all done. Now place in a sunny window..water frequently and watch them grow for the next 6 weeks. Transfer to patio pots or the ground once you get past all chance of frost. All done..easy peasy? Nah….I’m a witch..there is another step. I have to bless my seeds. Spell them to grow as magickal and strong as they can be….for use in future spells, teas, medicinal remedies, loose incense recipes, cooking…I want them to be full strength! I like this seed blessing for its simplicity……I found it on Llewellyn’s spell a day but changed up the words a bit to suit me. By fire and oil, this spell is done. Then you will go ahead and plant as I’ve described above. I have been perusing my herbal books and buying new herbal books and am working with a friend on learning more about herbalism..even taking an online class. I have made some herbal remedies here and there but I intend to do so much more in the future. This is another way that I can get closer to the Earth…to plant, grow, harvest, dry, and make herbals is a great way to honor Her. Living off the land so to speak. I wish you all well with your gardens this year….put all the magick you can muster up into your work and you will be blessed with an abundant garden filled with sweet smelling herbs, colorful flowers and warm from the Sun veggies. Feel blessed in your hard work and know that you are connecting with the Divine Mother.